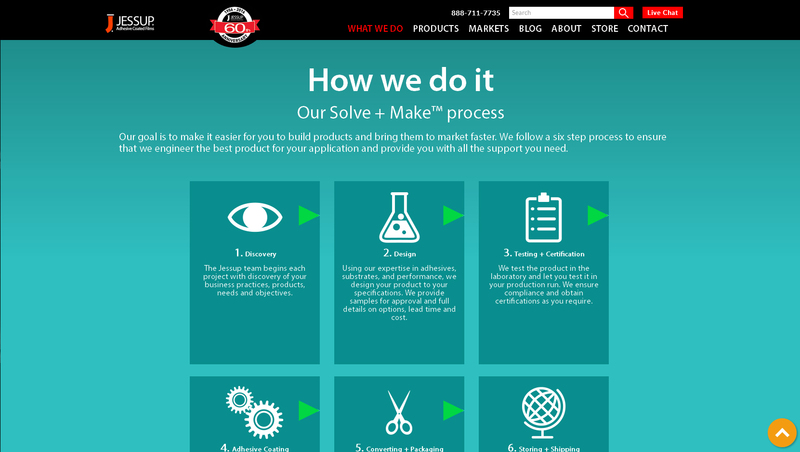 Jessup innovates and manufactures adhesive films engineered exactly for your application. Jessup can custom coat materials you supply or source whatever you need. Whether you’re producing on a large scale or building one aircraft or building at a time, Jessup’s mixing, coating, converting, packaging, supply chain management, and logistical capabilities provide ingenious and efficient solutions for diverse business challenges. 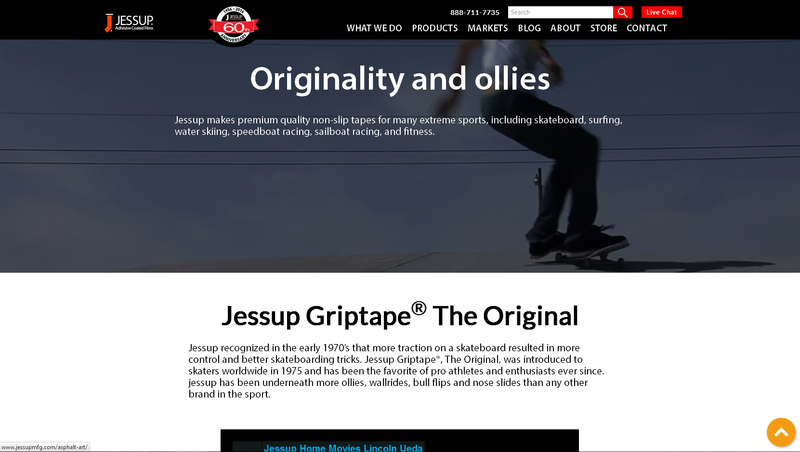 Jessup Manufacturing had multiple brands of products, each having their own website. Plego took on the initiative of gathering content throughout their product hierarchy and creating one cohesive online brand strategy. 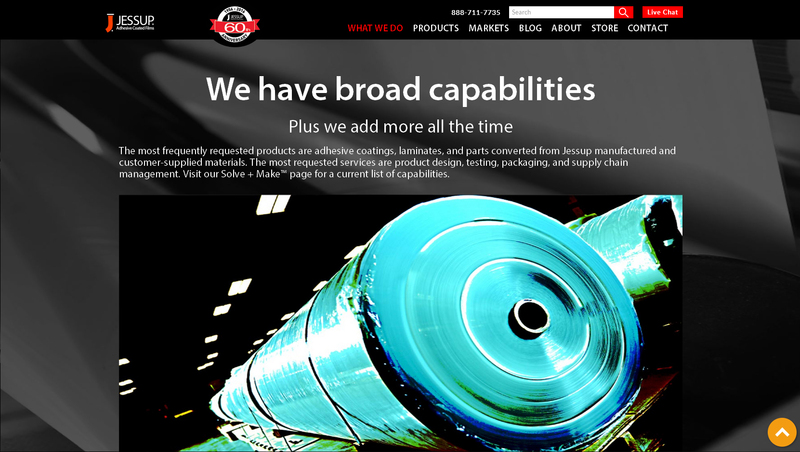 Plego created a website structured into different lines of interest for a user looking to find out more about Jessup Manufacturing and their offerings. The site was built a long form scrolling responsive format. This optimized the experience in all forms including PC’s, Tablets and Smartphones. Parallax scrolling was used to create a slide over effect for the entire site to make it seem like the content was floating over a stationary background. 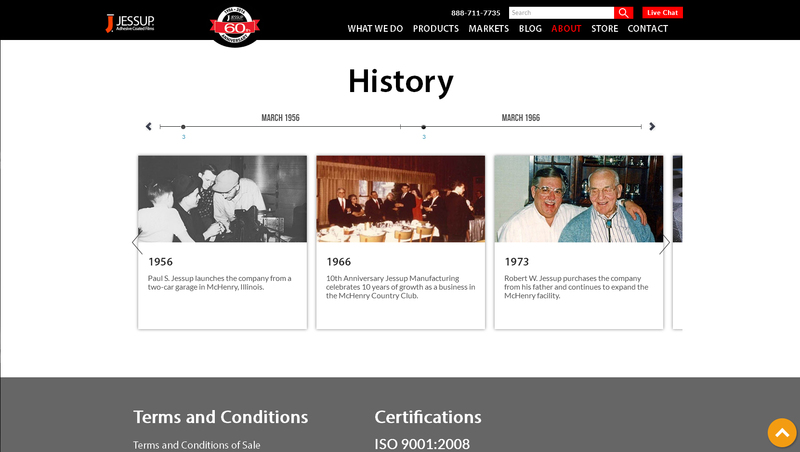 For immediate information about the company and brand history, interactive What We Do and About Us were created fully complete with an interactive company history timeline. 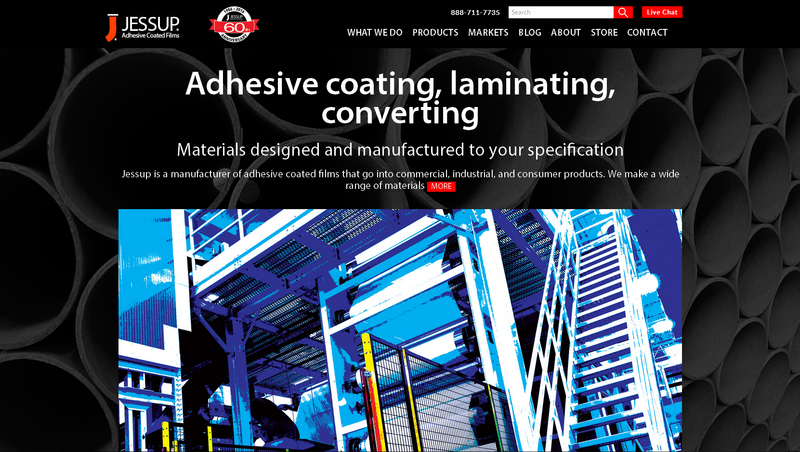 Interactive brand videos were embedded throughout the site to show in real time what Jessup’s manufacturing process consisted of. Plego also created a section for their products. This section not only featured product listings, but it gave background information for each product line. 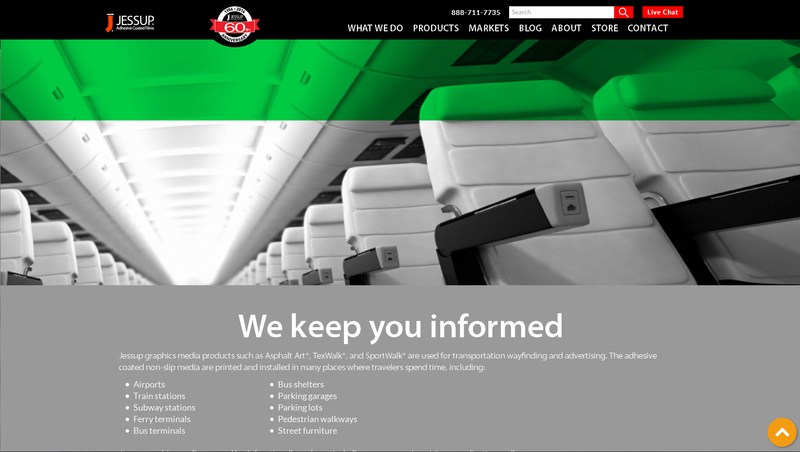 A Markets section was built to help potential customers understand how Jessup can help their industry. 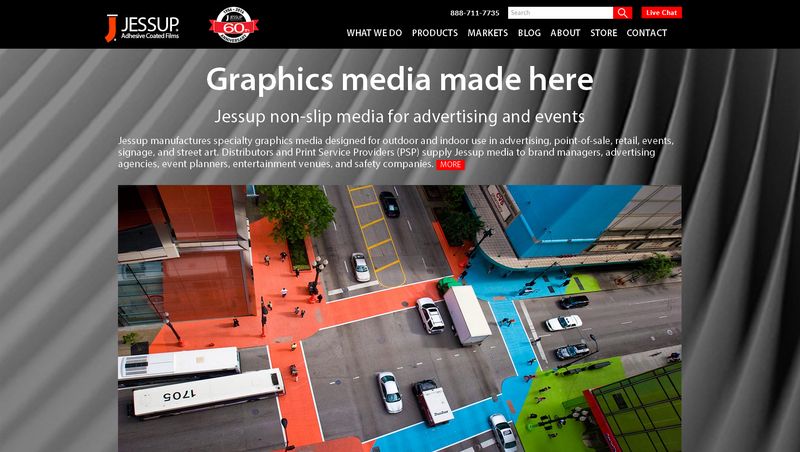 From Action Sports, to Safety to Graphics and Advertising, Jessup has a broad base of customers. It was our job to make each Markets section unique to that particular industry. In addition to the sections mentioned above, Plego built a comprehensive SEO strategy for Jessup and included multiple forms of Contact so that Jessup could attract and communicate with as many potential customers as possible. This included a Live Chat feature and a Contact Us form which routed customer inquiries to the correct internal departments.